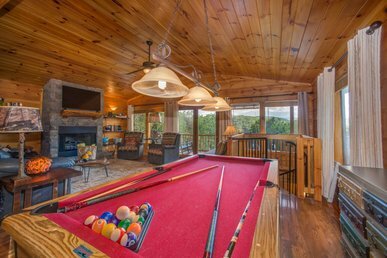 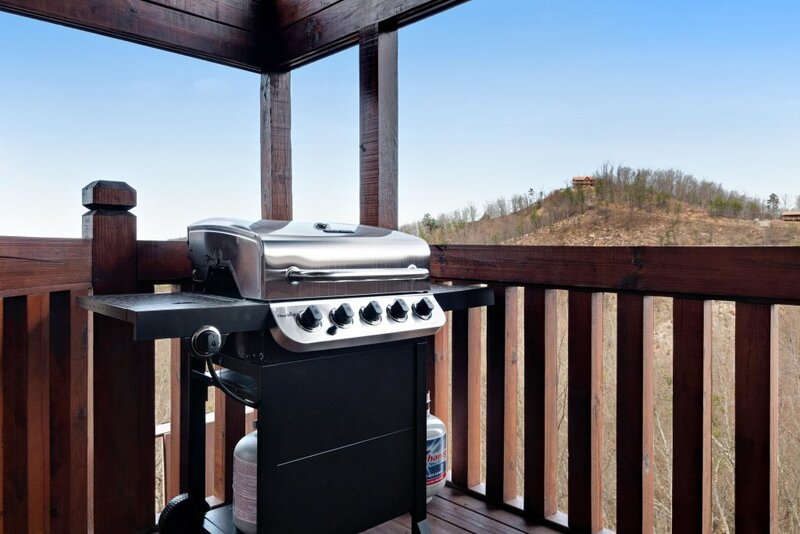 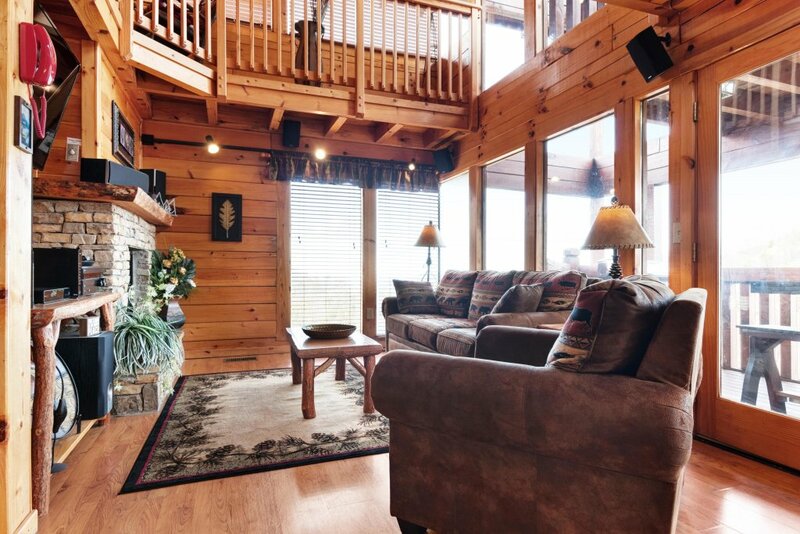 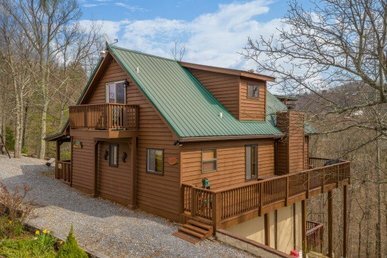 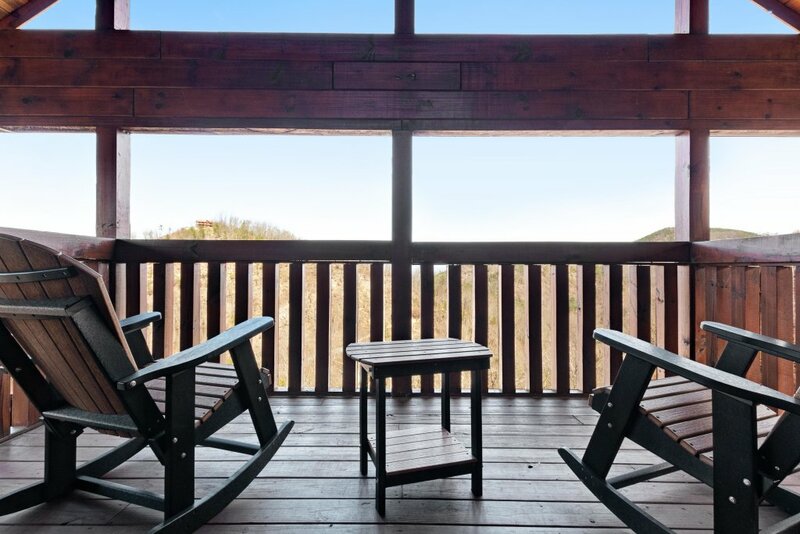 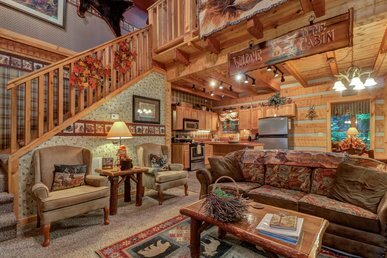 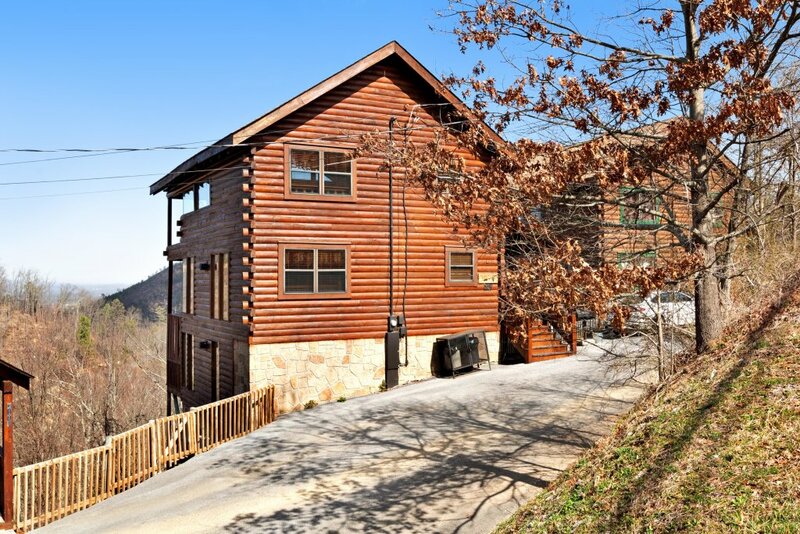 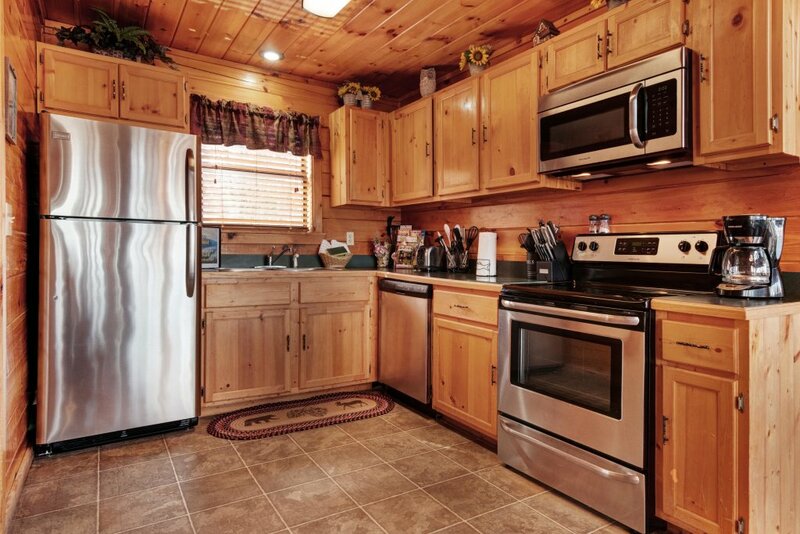 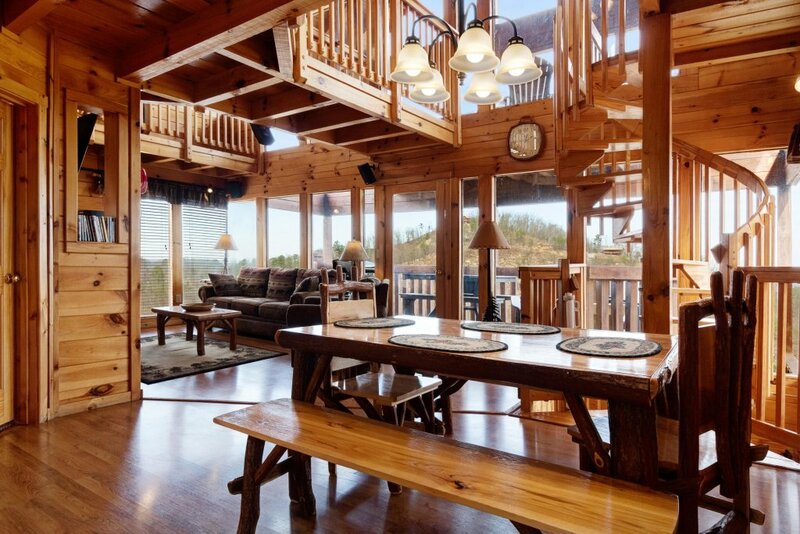 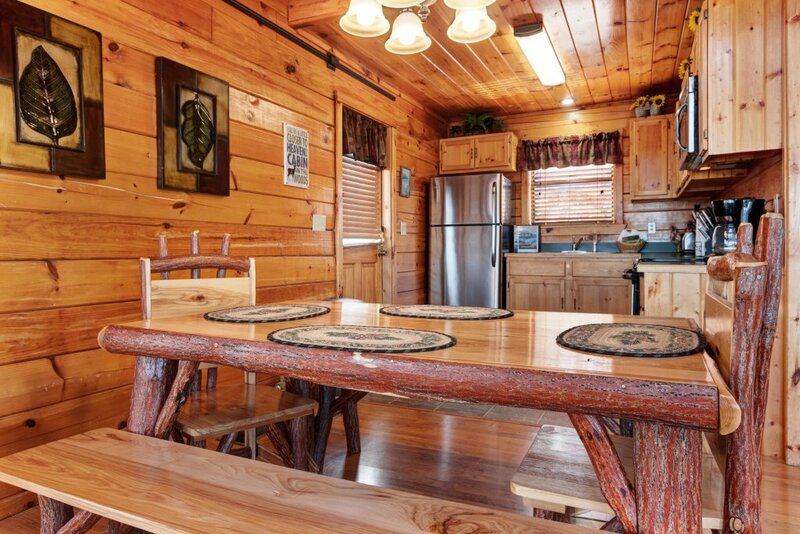 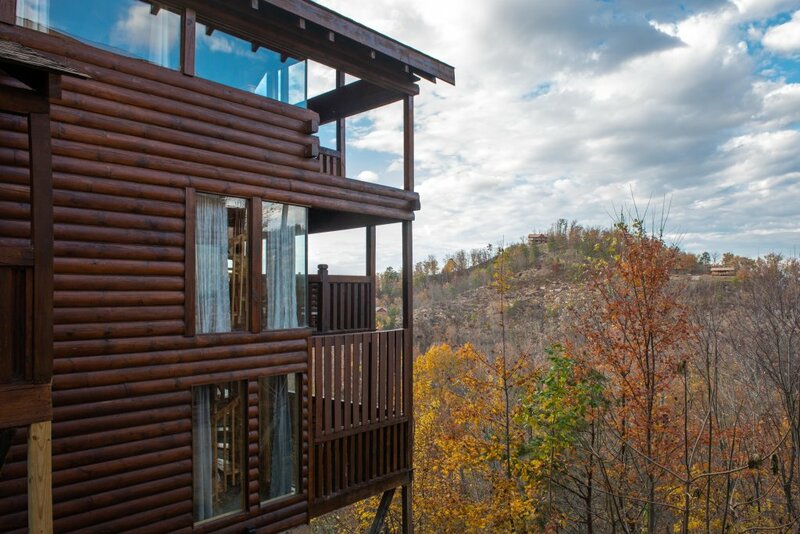 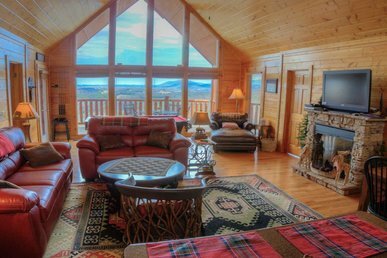 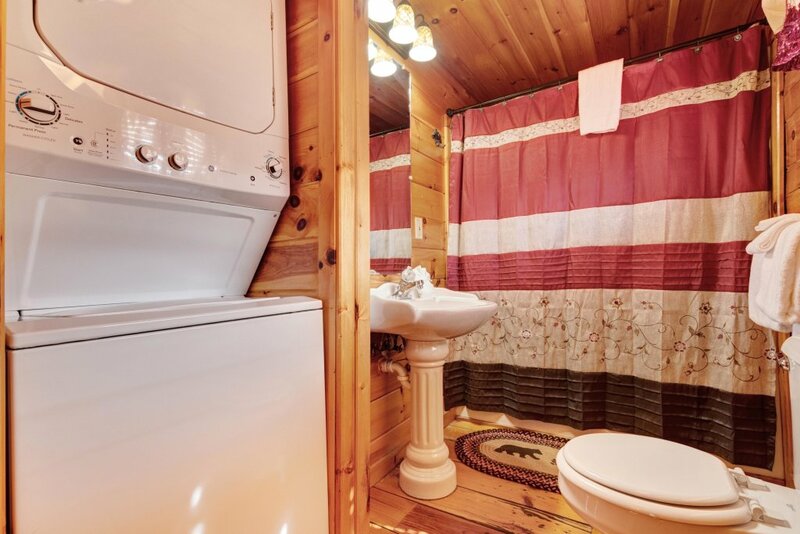 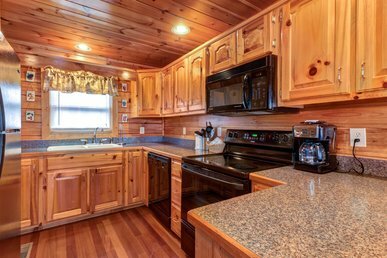 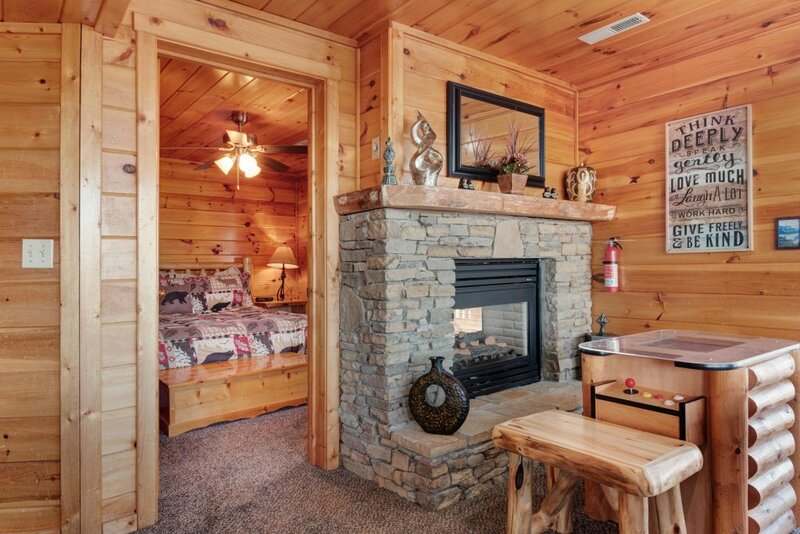 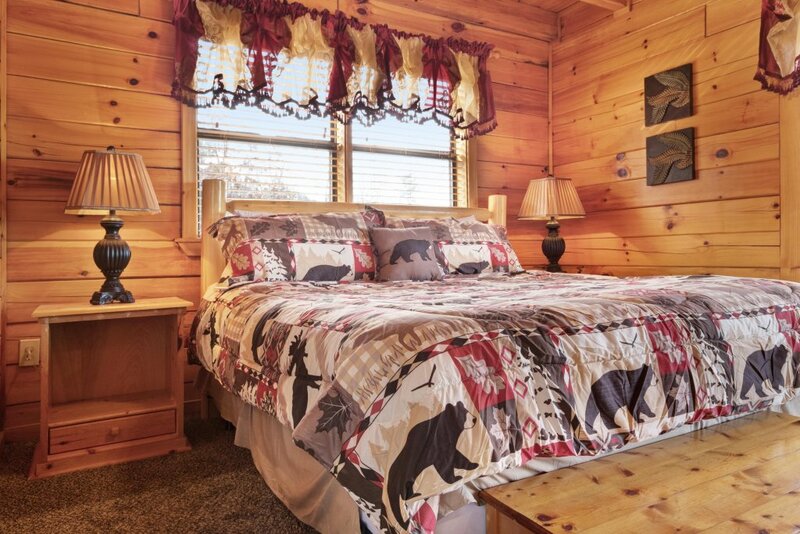 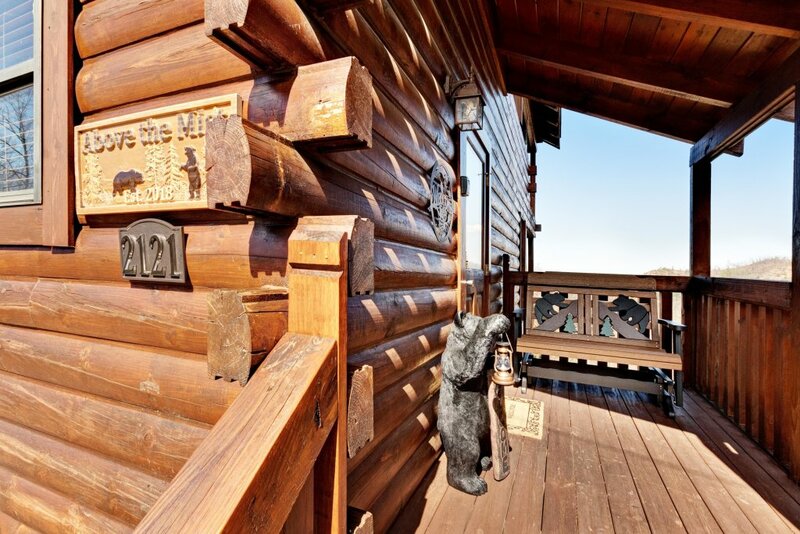 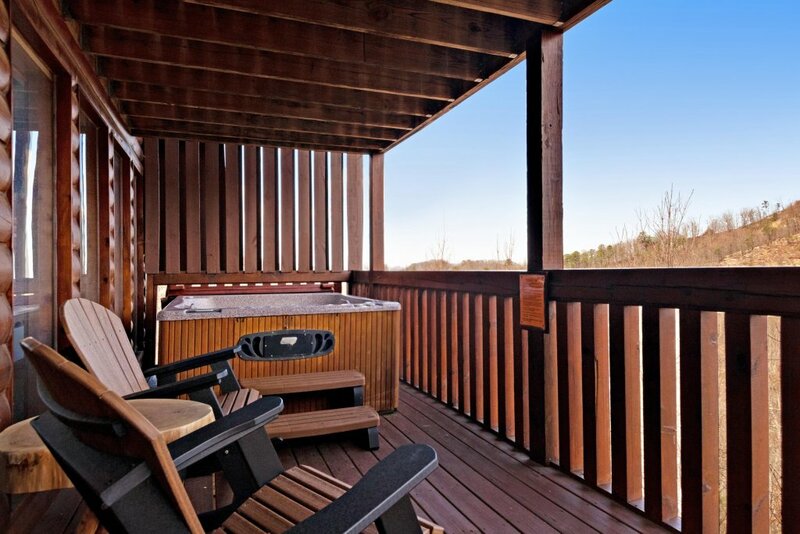 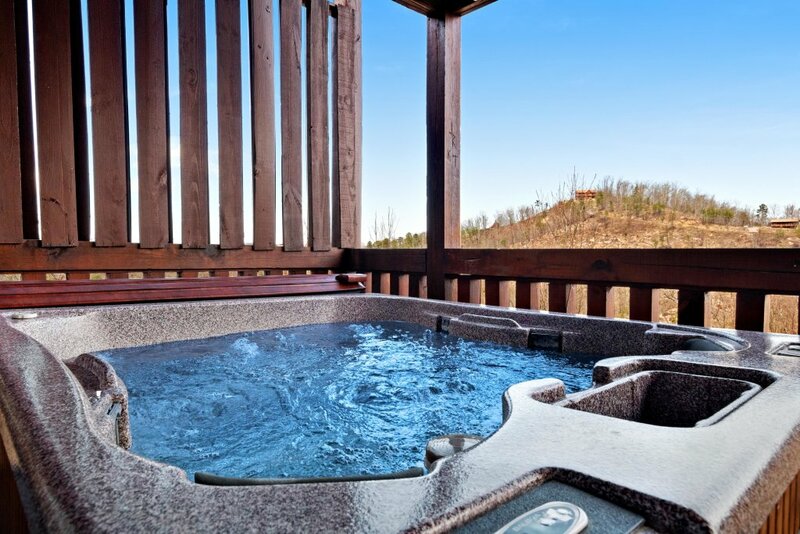 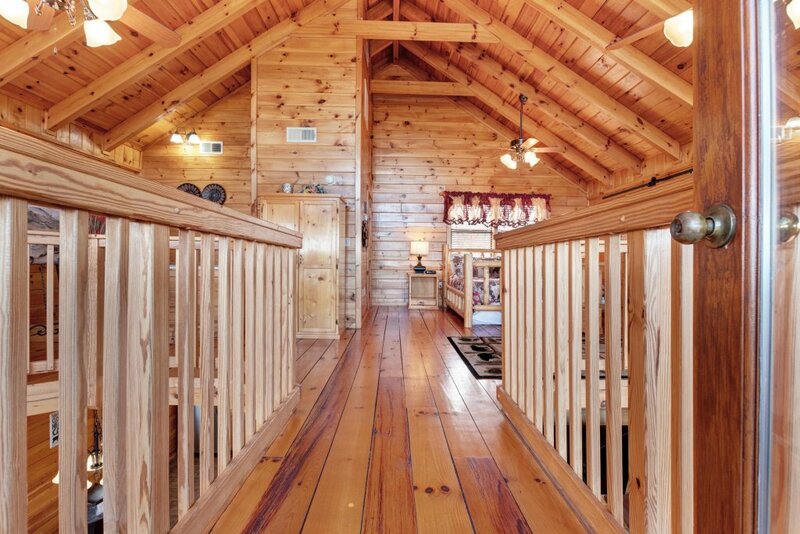 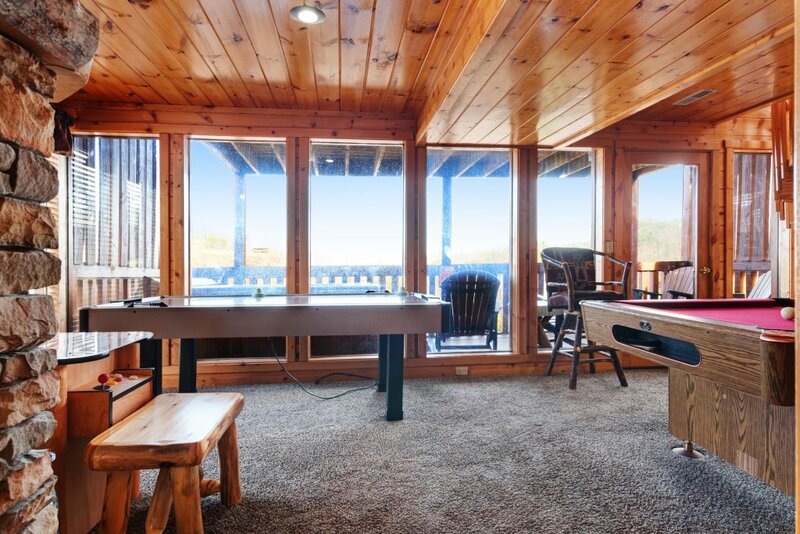 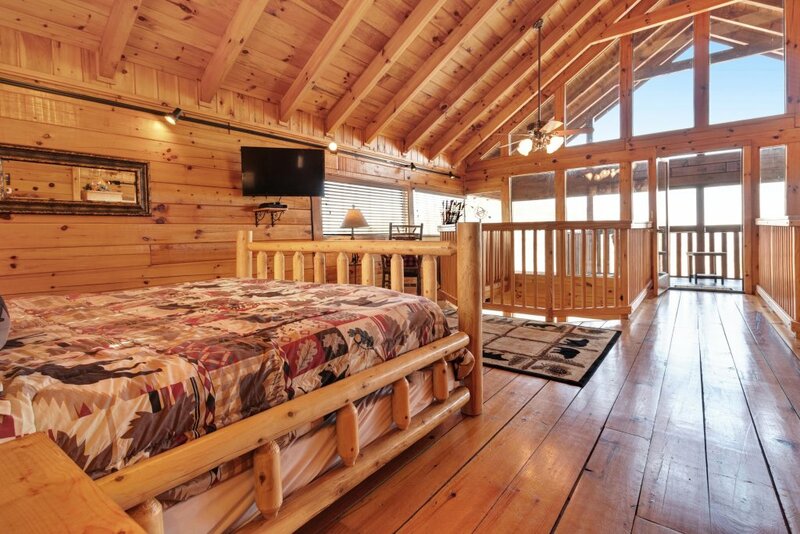 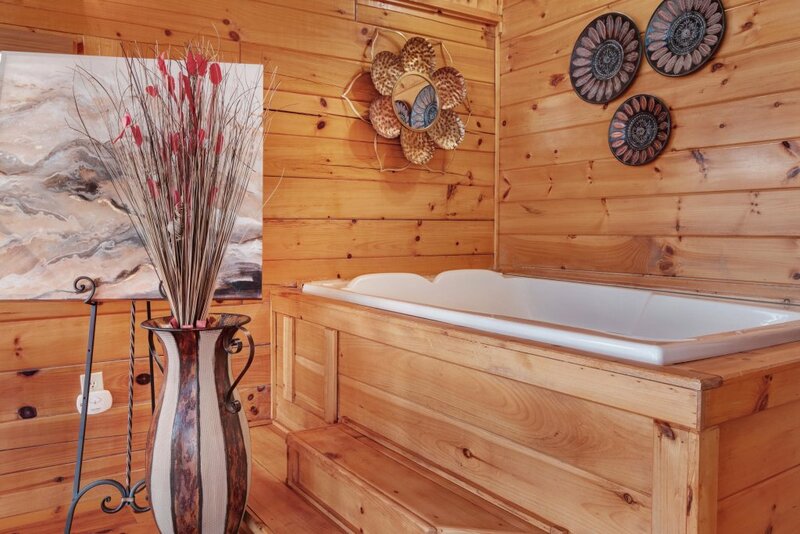 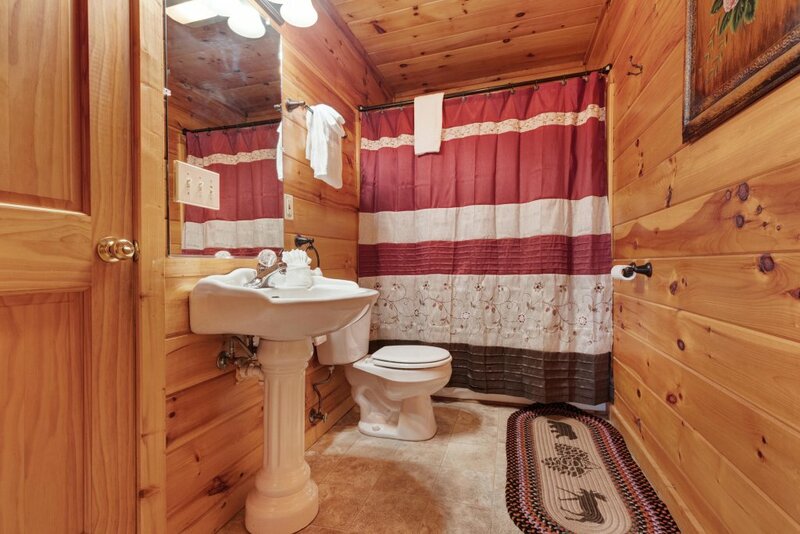 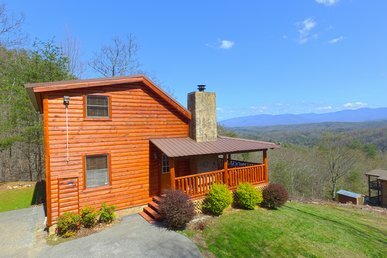 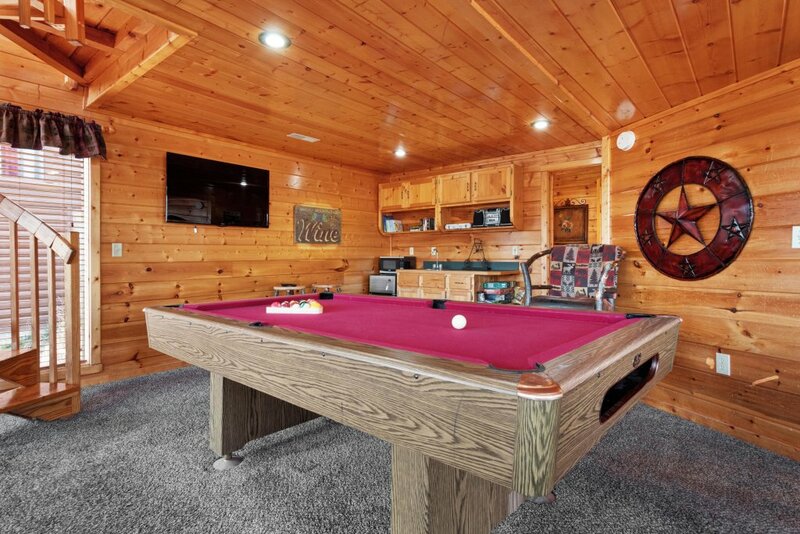 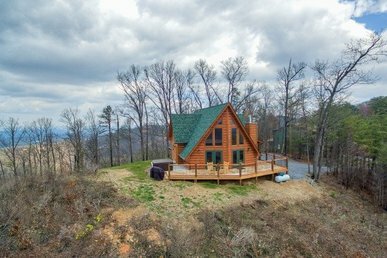 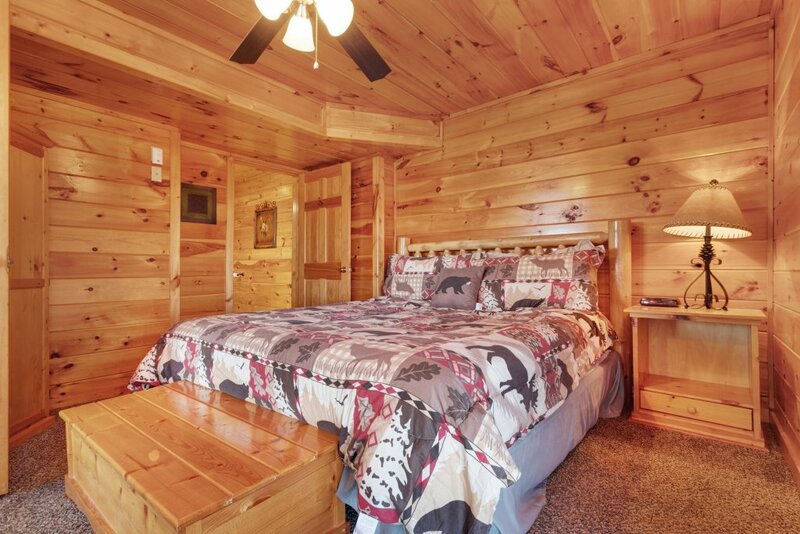 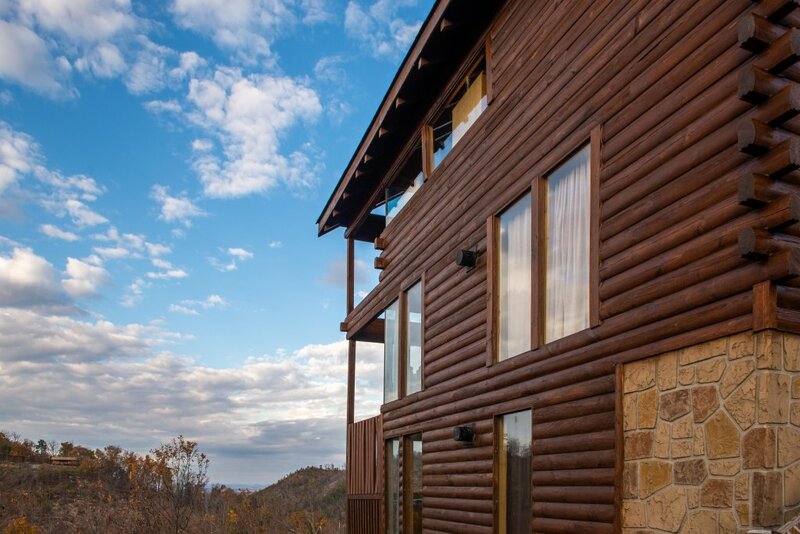 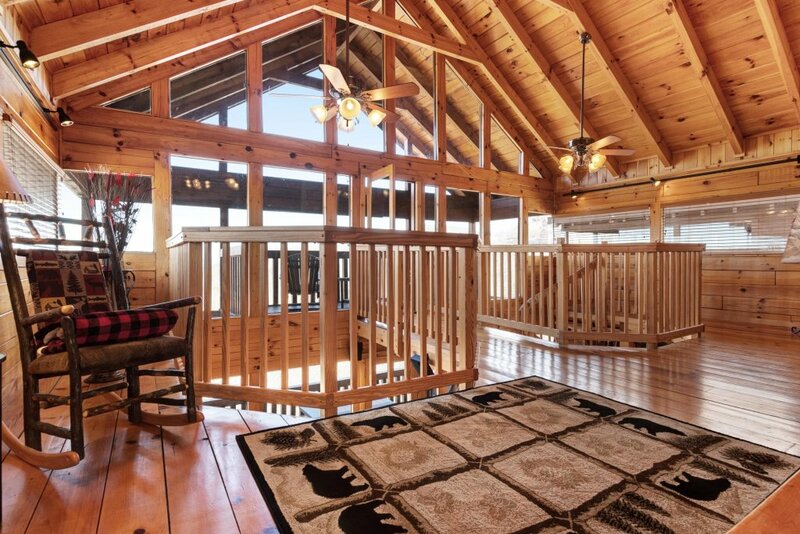 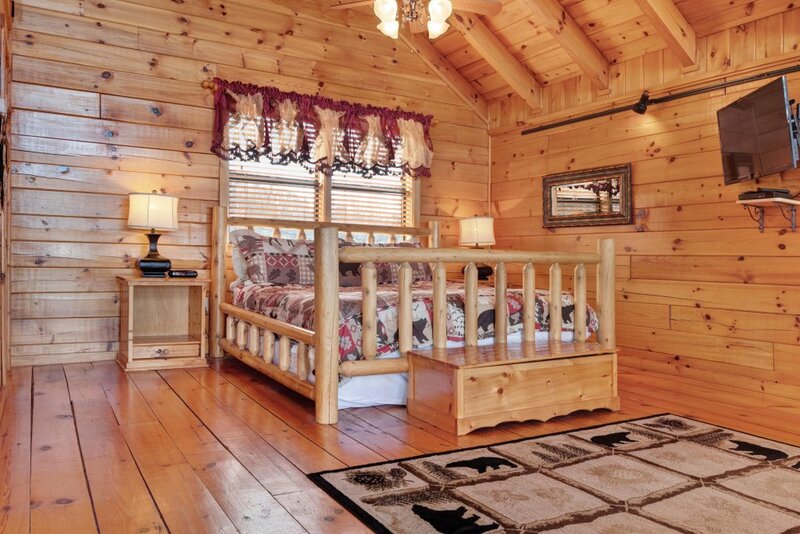 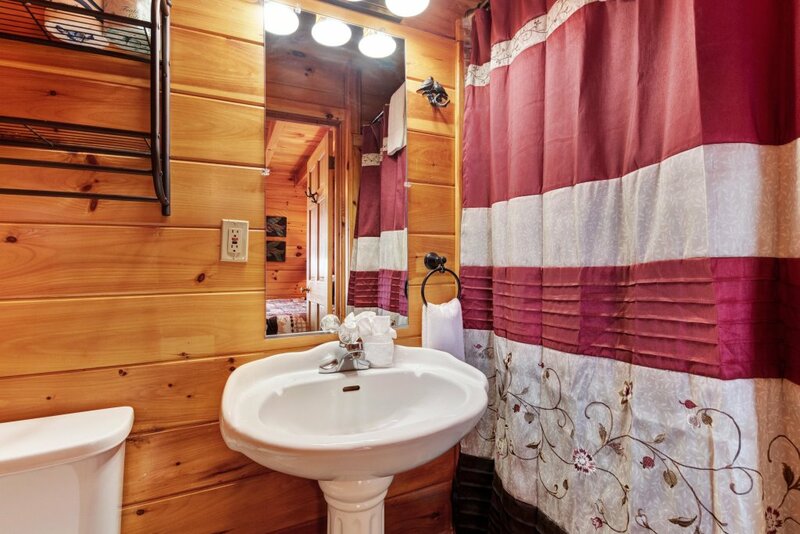 You'll feel right at home at this mountain view cabin in Sevierville, offering access to a shared pool, a private hot tub on a spacious deck overlooking the Smokies, and a game room with a pool table, air hockey, and gas fireplace. 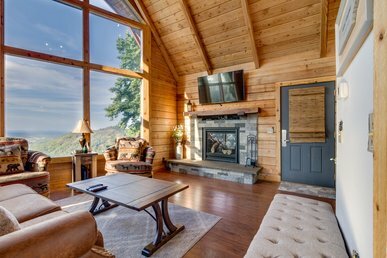 Relax in light-filled rooms with floor-to-ceiling windows while warming up by the fire and gathering for movies and shows on the flat screen TV. 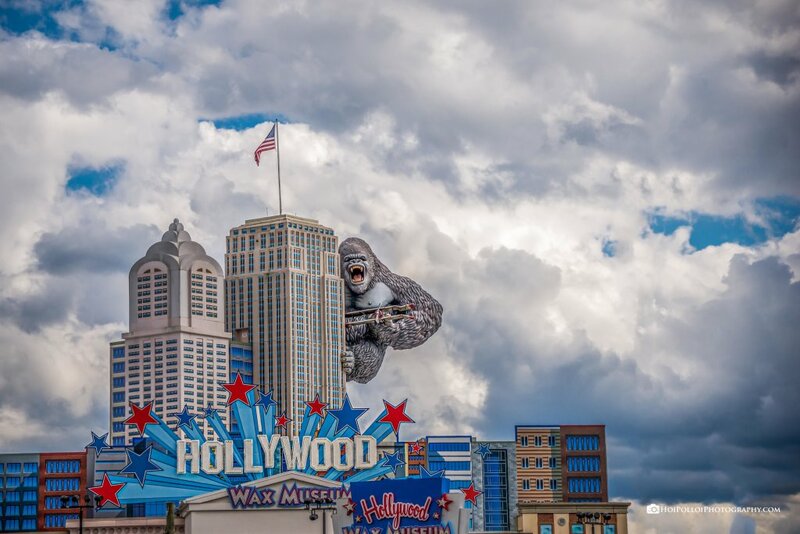 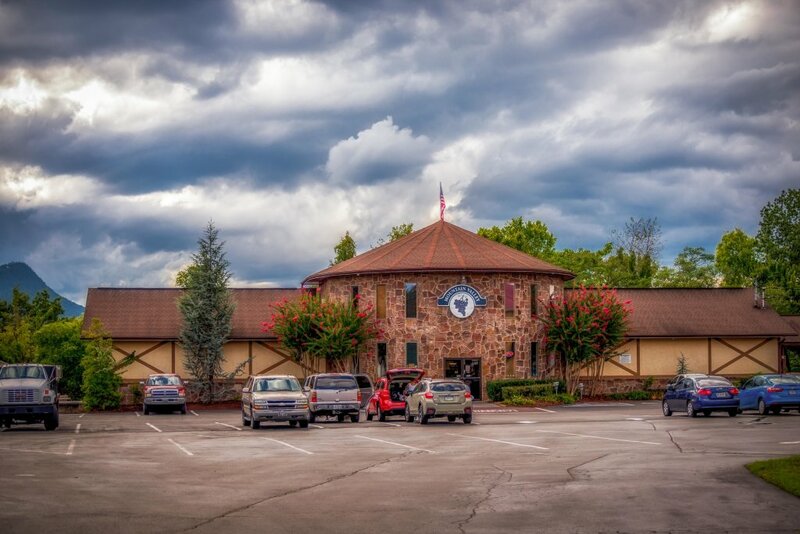 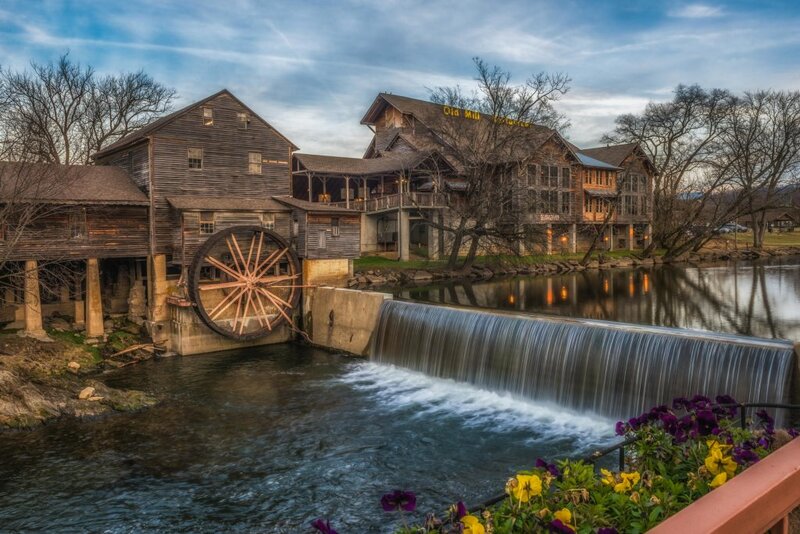 The town of Pigeon Forge is less than four-and-a-half miles away from the home, allowing you easy access to the famous dining, shopping, and entertainment offered there. 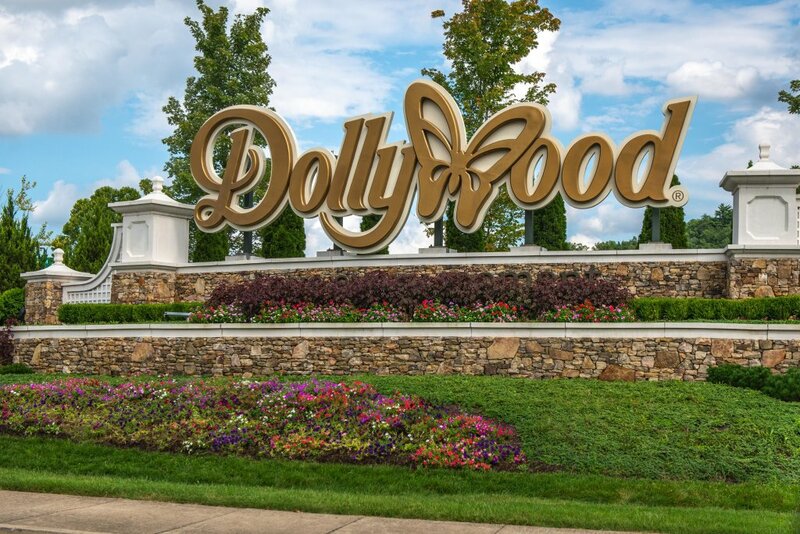 Ride the rides at Dollywood (three-and-a-half miles away), browse the Hollywood Wax Museum, and finish out the day at the Hatfield & McCoy Dinner Show. 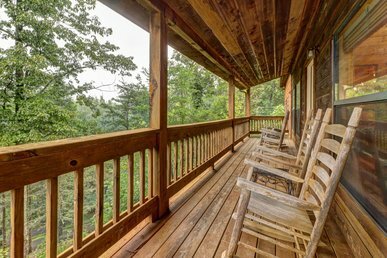 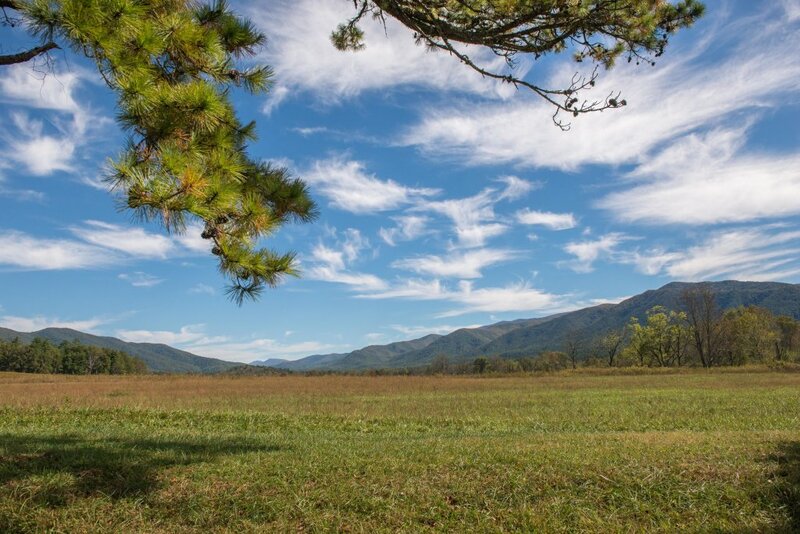 Zipline through the Tennessee hills or hike the ridges at Great Smoky Mountains National Park, just ten miles away.